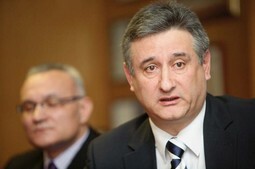 TOMISLAV KARAMARKO He took over the job of Interior Minister on 10 October 2008 and had up to then been the head of the SOA central intelligence agency, which, like the Interior Ministry, failed to observe that the assassination of Ivo Pukanic was in preparationThe testimony of police officer Nenad Sipusic this Monday at the trials of the assassins of Ivo Pukanic and Niko Franjic before Zagreb County Court caused consternation, shock and disbelief in the Croatian public, when it was learned that a high-ranking police official could have saved the lives of Ivo Pukanic and Niko Franjic. This is also the opinion of a high-ranking USKOK official involved in the case of the murders of Ivo Pukanic and Niko Franjic. "Nenad Sipusic could have saved the lives of Ivo Pukanic and Niko Franjic. At the time he learned from Amir Mafalani that Robert Matanic and his accomplices were preparing a high-profile murder in the centre of Zagreb he was the head of the organised crime department at Zagreb's sixth police station, the largest in Croatia. As a result he had to have known who Robert Matanic was, especially at the time of the psychosis that had gripped Zagreb following the murder of Ivana Hodak. Rather than report this information, he choose not to reveal it. Had he reacted, Robert Matanic could have been put on covert surveillance, tailing and eavesdropping four days ahead of the assassination, and the crime could have been prevented, and all of the conspirators arrested," Nacional has been told by the USKOK source, who says that it is unbelievable that this kind of police officer is still employed, but also noting that Sipusic could, after these revelations, hardly avoid a serious professional degradation. 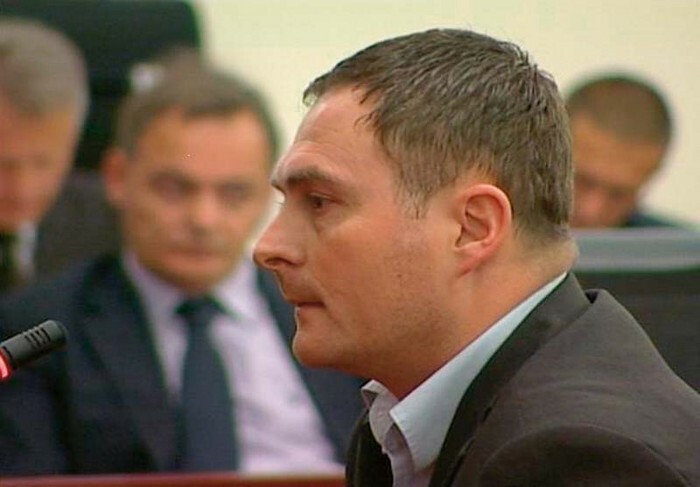 Nenad Sipusic, the police officer who testified Monday at the trial of the assassins of Ivo Pukanic, said that Amir Mafalani had told him several days before the murder of Pukanic that Robert Matanic had information that there were plans for a high-profile murder in downtown Zagreb. Sipusic said that he had contacted with Mafalani because he was an informer of his, and admitted that he had not drafted any kind of official memorandum about the information he had recieved. NENAD SIPUSICIn the traumatic atmosphere just days after the murder of Ivana Hodak, it was a glaring warning. At the trail Sipusic made a scandalous statement about a further reason on account of which he did not react after Mafalani passed on the information. He told the court he was afraid that his colleagues would laugh at him. Had Sipusic then made a report that he had received the information and indicated what his source was, Mafalani's and Matanic's telephone conversations could have been monitored, which would have prevented the assassination of Pukanic. It could easily have happened in that situation that the police very quickly learned that Mafalani certainly knew more about an assassination he had spoken of in general, trying to create and alibi for himself if any problems surfaced. He could have been questioned further, revealing much more detail about all those involved in the assassination, and perhaps even of the principals behind it. In court Sipusic contradicted himself. First he said that he had not known where the murder was to take place, or who the victim or perpetrator was to be. "The information provided to me by Mafalani was insufficient for me to make a connection or launch any action," Sipusic said. He then said that he had advised Mafalani to stay in contact with Matanic, whom he had cited as his source. If it is true that he advised Mafalani to stay in contact with Matanic, then Sipusic is evidently bereft of any capability of elementary logical deduction, when he was unable to conclude why Matanic might know something about a planned murder. Matanic was already by then known to the police as a hired gun who had plied his trade in Bulgaria, and Sipusic, as one of the top Zagreb police officials in the war on organised crime, saw this as an insignificant and generalised piece of information. Asked by the judge why he had not reported the information on a possible murder, in particular as Ivana Hodak had been murdered a few days previously, Sipusic said that there is a guideline in the police that generalised reports are not filed. If he has himself mentioned Matanic in the context of the Mafalani information, it is outrageous that Sipusic can claim that the information was of an unspecific nature. Sipusic also had the following to say in court. "Before the murder I did not want to say anything in order not to provoke the scorn of my colleagues. Later I was in doubt as to whether I should approach the organised crime department to report my contact with Mafalani, but did not want to come uninvited, which could have been interpreted as my coming to justify myself," Sipusic said. He explained that he had contacted with Mafalani with a mobile phone registered to his name, and was as such certain that the police would discover this in the investigation. "I knew that they would come across me and had no reason to hurry," Sipusic responded to the judge's observation that an earlier report could have sped up work on the case. The police finally questioned Sipusic only a month or two after the murder. It all indicates that Sipusic was, in this situation, determined above all to protect himself from this scandalous omission, and that his expertise is at a pathetically low level if he is able after this kind of assassination to say that it has been practically all the same to him when he would discuss his contacts with Mafalani with his colleagues working on the case. So far it has been established that Amir Mafalani and Nenad Sipusic spoke over the phone on 17 October 2008. They met two days later, on 19 October 2008, at a café in the Dubrava quarter of Zagreb. ROBERT MATANIC was by 2008 already known as a dangerous killer as a result of his criminal career in Bulgaria — it is hard to believe that police officer Sipusic failed to react to information according to which Matanic was preparing a murder in ZagrebThat was where Mafalani gave him the unspecific report on an assassination that a group centred around Robert Matanic was preparing in downtown Zagreb. Mafalani and Sipusic also spoke by phone on 23 October 2008, not long after the assassination of Ivo Pukanic and Niko Franjic. This was also established by an examination of a listing of telephone conversations by Amir Mafalani. What they discussed remains unknown. Mafalani told the court that he had already by then told Sipusic that this was the assassination of which he had spoken. Sipusic has denied this in court. He said that he called Mafalani, asked him if this was what he had spoken of, and that Mafalani had avoided giving a coherent answer to that question. Regardless of the content of this conversation, Nenad Sipusic should have informed his superiors immediately following the assassination of Ivo Pukanic and Niko Franjic that he had been told by Amir Mafalani four days ahead of the murder that Robert Matanic was preparing a very high-level assassination in downtown Zagreb. He saw nothing controversial about this even when giving his testimony in court, which quite evidently astonished judge Ivana Krsul. Had he done so Matanic could have been eavesdropped four days before forensic specialists found the serial number plate from the scooter Zeljko Milovanovic had used to get the explosive in front of the Nacional editorial offices. Sipusic's behaviour after having received information of this importance also reveals how it was even possible that Pukanic had been taken off police protection not long before. In this case the police fell prey to efforts by the media to compromise Pukanic and to relativise the danger threatening him, and he was probably the subject of scorn at some levels within the police department. Sipusic feared a similar scoffing from his colleagues, and it is this atmosphere in the police, which exists to this day at some levels, that can be considered one of the factors that facilitated Pukanic's murder. Had Mafalani not told him that Robert Matanic had the information on a murder in the centre of Zagreb, Sipusic could perhaps justify himself with the claims that the information he received from Mafalani was unspecific. He and Mafalani spoke on almost 90 occasions from the summer of 2008 up to the murder of Ivo Pukanic. Mafalani was his informer, and behaved in keeping with this role. He revealed potentially useful information concerning the goings on of the Zagreb drug smuggling scene and sought favours in return. It is possible that in most of these cases he was offering useless information and seeking favours in return. Informed sources in the judiciary have told Nacional that it is much more likely that Mafalani was stringing Sipusic along and trying to extract information from him concerning what the police might know about Matanic and his gang. This is most likely why Mafalani continued to contact with Sipusic after the murder of Ivo Pukanic, and the two exchanged SMS messages twice on 27 October 2008. Amir MafalaniIt is to be suspected that, in the situation that has emerged, his superiors in the police force also tried last week to cover up the scandalous omission made by Nenad Sipusic with their lies. After Mafalani made his allegations in court, Nacional contacted high-ranking police officials to verify them. Last Monday at a meeting in the police directorate two experienced police officials declined to disclose to Nacional any information on the nature of the relationship between Mafalani and Sipusic, citing official secrets. At this meeting the police officials also sad that Sipusic only received thoroughly unspecific information from Mafalani, not warranting an official memorandum. Perhaps Sipusic himself told them this, and they believed him. But in court on Monday Sipusic put his superiors at the police department in an uncomfortable situation by his testimony, as it could now be suspected that even high up in the police force they have consciously lied to cover up the omissions of their subordinates. The only thing that could be worse than that to the police is if they entirely independently and consciously wanted to cover up Sipusic's omissions with lies. In light of the already known police fabrications that Pukanic fled from his police protection and that this was why they had taken him off police protection, even this possibility cannot be rejected a priori. This revelation again demands answers to many unanswered questions related to the assassination of Pukanic. Besides the fact that the principals behind the murder remain unknown, to this day it also remains unknown how it was possible that the security cameras on the Nacional building were not recording right at the critical moment when Zeljko Milovanovic left the explosives-laden scooter in front of the Nacional editorial offices. It is also not known if anyone in the police force has been held responsible for taking Pukanic off police protection and why the first attempt on his life was not investigated. After everything the question that now arises is why Sipusic remains employed by the police. High-ranking police officials should for a start at least offer the public an adequate answer to this question. 9 April 2008 - The first attempt is made on Ivo Pukanic's life at Ilica Street No. 209 - the press and the police laugh off the crime. 25 May 2008 - The assassins start tailing Ivo Pukanic and preparing a second assassination attempt, moving around Zagreb unimpeded even though this was a group known previously to the police. Mid August 2008 - Pukanic taken off police protection after his return from the Olympic Games in China - the assassins continue to tail Pukanic. Early October 2008 - Pukanic again seeks police protection. 6 October 2008 - Ivana Hodak is murdered. 17 October 2008 - Amir Mafalani and Nenad Sipusic agree to meet over the phone. 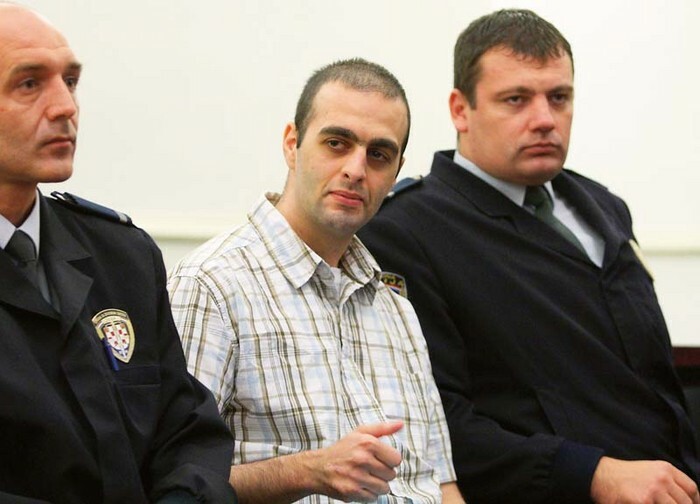 19 October 2008 - At a meeting in Dubrava Amir Mafalani tells Nenad Sipusic that Robert Matanic has information concerning a high-profile murder that will take place in downtown Zagreb. 23 October 2008 - Ivo Pukanic and Niko Franjic are assassinated.